since today is my birthday (why hello 31!) i'm taking the day off from posting. thankfully i have a talented guest poster to introduce to you. my girlfriend Lacey is always coming up with cute nail designs. 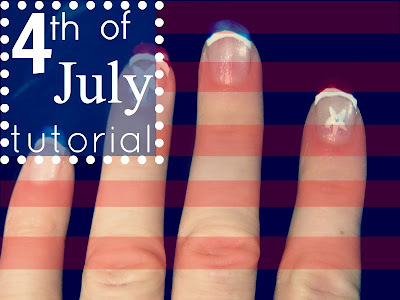 when she offered to create a few patriotic inspired tips i jumped at the chance. 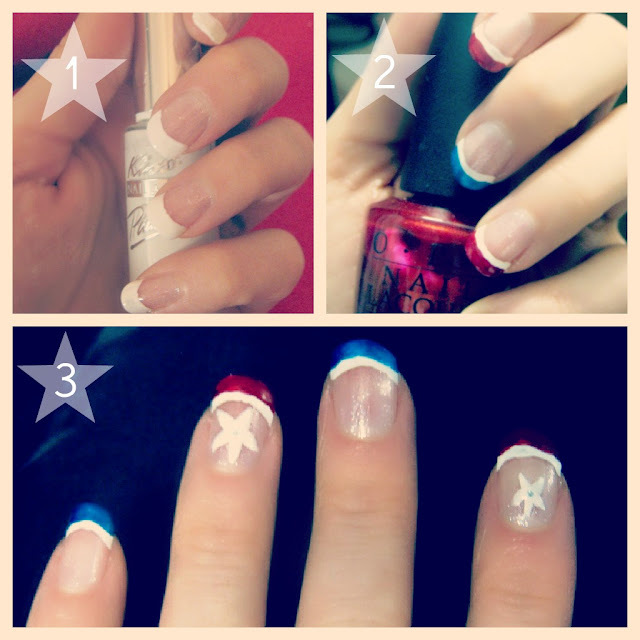 here is a glimpse of her 4th of July French Mani and a quick tutorial showing you how she created it. Step 1: apply sparkle polish to entire nail followed by white applied in french manicure style. Step 2: apply alternating red and blue polish to 'double line' french manicure. Step 3: finish with some cute stars applied with nail art brush or toothpick. thanks Lacey for the great idea!